Keep it Fresh with this stylish Splatoon Firefin T-shirt. This Splatoon 2 T-Shirt is available in a range of sizes (from Small to XL) and features a chest print design of an 8-bit FishFry motif. This grey short sleeved T-Shirt has a crew neck and is machine washable. Splatoon Firefin T-Shirt - 8-Bit FishFry. 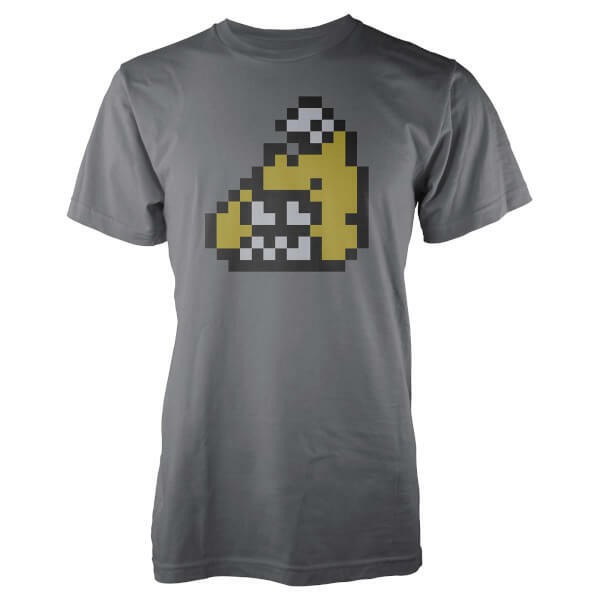 This grey T-Shirt features an 8-bit FishFry logo.